GALION — Northmor knocked off Galion 63-53 Tuesday in non-league boys basketball action at North mor High SchoTeol. With the win, Northmor improved to 6-8 overall and 4-5 in the Knox-Morrow Athletic Conference. The Tigers fall to 4-9 overall and are 2-6 in the Mid-Ohio Athletic Conference. The hosting Knights got on the board first thanks to a converted free throw from big man Blake Miller and would not trail throughout the duration of the contest. After the first eight minutes of play, the Golden Knights held a 13-6 advantage. In the second quarter, scoring would pick up a bit for both squads with the advantage going to Northmor at the intermission, 29-19. 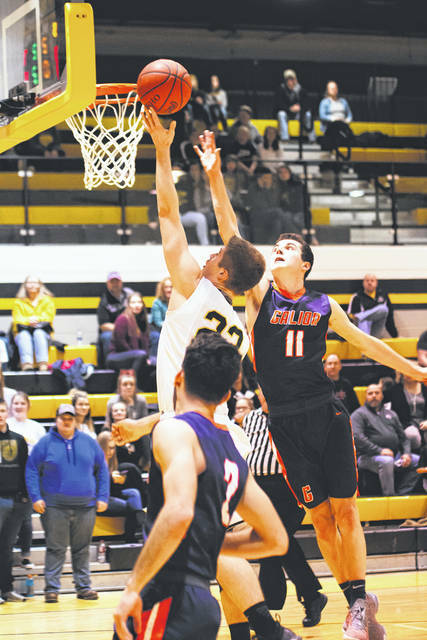 Galion opened up the second half with a push and would eventually go on to outscore Northmor in the third, 17-15, to cut into their deficit heading into the final quarter of regulation. 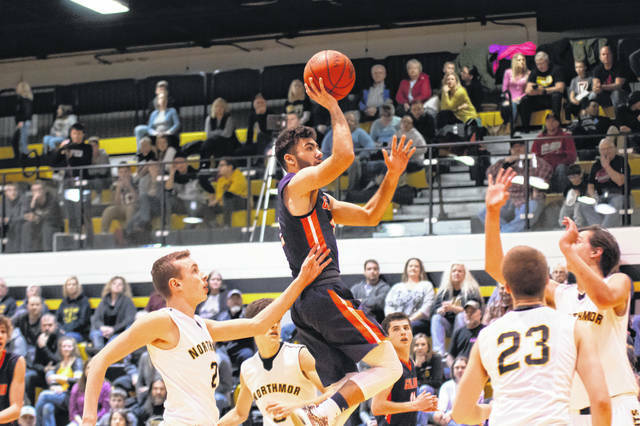 That would be when the interior size of the Knights would cause the most problems for the short-handed Tigers as Northmor tacked on 19 points in the quarter while holding Galion to 16 to get the victory. Jack McElligott would finish as the leading scorer for the visiting Tigers, scoring a game-high 19 points to go along with five rebounds and a pair of steals. Fellow senior Gage Lackey turned in 18 points, five rebounds, four steals, two blocks and an assist despite suffering from an illness. For the home team, a trio of juniors led the way while all reaching double-figures for the contest. Trevor Gekler recorded 18 points while grabbing nine rebounds, swiping two steals and swatting a block for the Knights. Miller added 14 points, six rebounds, six assists and a block while Hunter Mariotti contributed 11 points, nine boards, an assist, a steal and two blocked shots. 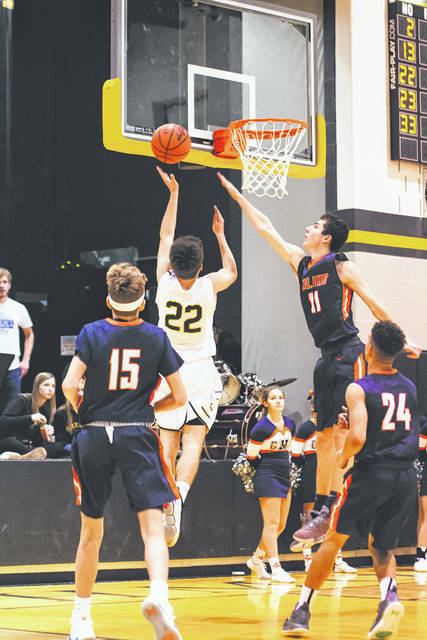 Other statistics for Galion in the defeat were: Team- 18/34 from the interior, 2/13 from the perimeter, 11/16 at the free-throw line, 20 rebounds (15D, 5O), 5 assists, 10 steals, 4 blocks and 13 turnovers; Carter Keinath- 7 points, 1 rebound, 2 assists; Isaiah Alsip- 7 points, 5 rebounds, 1 assist, 3 steals, 2 blocks; Carter Valentine- 3 points, 1 assist, 1 steal and Hanif Donaldson- 4 rebounds. Additional statistics for the Golden Knights Tuesday were: Team- 22/32 from inside, 3/11 from outside, 10/17 at the line, 30 rebounds, 14 assists, 7 steals, 6 blocks, 18 turnovers; Logan Randolph- 8 points, 1 rebound, 4 assists, 3 steals; Cole Dille- 7 points, 5 rebounds, 2 assists, 1 steal, 1 block; Alex Tuttle- 5 points and Aaron Berg- 1 assist. 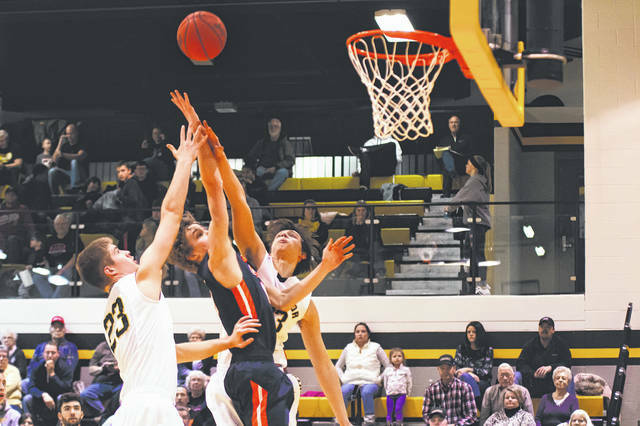 The Tigers were on the road against the Harding Presidents in MOAC action on Friday night and will be on the road again on Saturday, January 26 in non-conference play against the hosting Buckeye Central Bucks. Galion is set to return to their home gymnasium on Thursday, January 31 when they will host the conference-leading Clear Fork Colts. Northmor was on the road against KMAC foes, the Cardington Pirates on Friday evening and will be back home on Saturday evening against the St. Peter’s Spartans. Conference play will pick back up on Tuesday, January 29 when the East Knox Bulldogs visiting the Golden Knights.